Sam Leach – the subject of Giles Alexander’s portrait – won last year’s Archibald Prize, with a portrait of comedy rock star Tim Minchin, as well as the Wynne Prize. Alexander was a finalist in last year’s Archibald Prize with a complex, allegorical portrait of Professors Ross Garnaut and Martin Green. ‘It was quite a serious work that tackled the weighty subject of climate change so I wanted to do something light-hearted this year,’ he says. 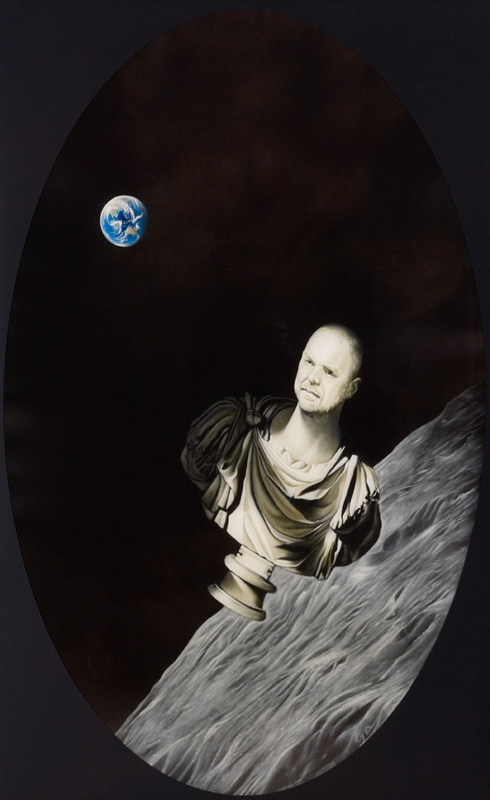 ‘I decided to go back to what is perhaps the primordial portrait – the bust – and to combine that historical reference with a more futuristic, sci-fi bent. I’m currently working on an exhibition about man’s search for habitable planets and what that says about how we see ourselves, our place in the universe and our relationship with Earth.